Learn to paint or take your art to the next level with Fernando Gonzalez and Cristiana Marinescu, founders of Cristi Fer Art Studio and Gallery. Offered by popular demand! Many of San Miguel visitors spend from one to four months of winter rejuvenating in San Miguel de Allende. Over the years, many have asked us to offer a month-long art workshop that features one class per week. These individuals want to learn at their own pace and focus on subjects that are of personal interest. As all of our past students know, we focus on the essentials of painting (without fluff) in our classes, so you will not waste your valuable time. 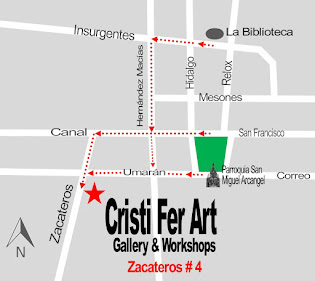 Beginning in October, we will start offering MONTHLY WORKSHOPS (on one day, per level, each week) at our Cristi Fer Art Studio. Mondays will be dedicated to beginners; Wednesdays to intermediate and advanced artists. 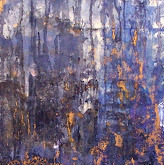 Mondays, 2:30 to 5:00 pm, Discover the Painter in You, even if you cannot draw a straight line! -Everything you need to know to take the first step as an artist. -Learn to think and see like a painter. -Learn design basics for painting with a focus on basic shapes, composition and color. Learning to paint can be intimidating. 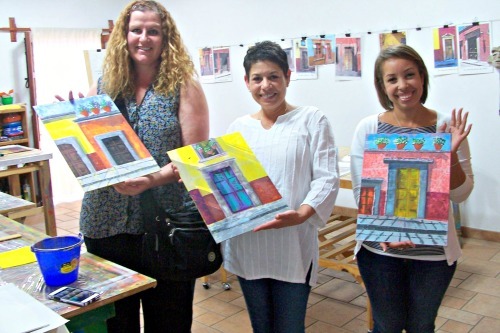 Cristi has the art ability to teach in a way that’s easy to understand and fun to apply. She has helped beginning artists to learn the secrets of becoming a painter, in record time. Cristi, full-time painter, has been teaching art, in college classroom, workshop and retreat settings, for almost 30 years. Over that time she’s worked with countless students, helping them go from novices to confident artists. Wednesdays, 2:30 to 5:00 pm, Make Your Art Sing! (Workshop for intermediate and advanced artists) Master painter Fernando Gonzalez, full time painter and muralist, has helped many artists to take their art to the next level. -Make your paintings more meaningful when you learn how to apply the attributes of color (hue, value, saturation and color temperature) to bring your paintings to life. -Bring your acrylic painting one step further by adding realistically rendered elements such as glass, reflections, metal, terracotta, etc. -Effectively create depth, dimension, and texture in your paintings by practicing and perfecting a variety of painting techniques. -Learn tips, techniques, and painting approaches. -Create beautiful and engaging paintings that capture your viewers. When it comes to getting a solid foundation in learning anything, the teacher you choose to learn from is absolutely critical. We offer you two great options! Cost: $300.00 includes acrylic materials, please bring a sketch book, pencils and sharpies. Cost: $300.00 includes acrylic materials, please being a sketch book, pencils and sharpies. Register in advance! Only 6 per group!